Join us for our first YOGA & Wine class. 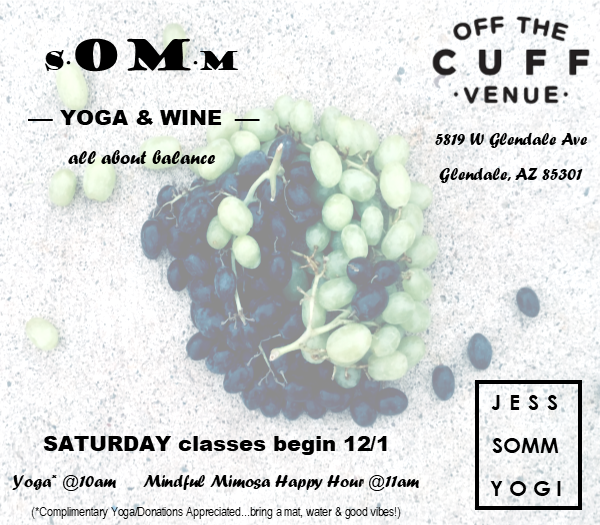 Hosted by Jessica Fleming (yoga instructor, sommelier), this class is FREE from 10 AM to 11 AM followed by a “Mindful Mimosa” Happy Hour. Check out more info here!